“My” Isla Mujeres student is graduating from university! Isla Mujeres Scholarship Group, especially Team Alejandra are proud to announce that Alejandra will be graduating from university in Merida on Friday with a K-12 teaching certificate. I have been one of Alejandra’s co-sponsors for three of her four years at university. Unfortunately I have only had two opportunities to visit with Alejandra while she was home on school holidays. However, on my frequent trips to Isla I often saw her mother Juana. I would pass Juana almost daily on my way to and from the beach. We often just waved or hugged as neither of us speak the other’s language fluently. We are hoping to have photos to post after her graduation ceremony. Alejandra wants to teach kindergarten because “everyone needs to start school”. Alejandra’s preference is to teach on Isla but said that she will work wherever she can find a job. Finishing university is a HUGE accomplishment for Alejandra. Last July Alejandra had a baby. Even with the birth of her son Angel she was determined to complete university. Alejandra’s aunt in Merida has been watching Angel while she is at school. Alejandra’s university education will make her dream a reality. By doing so her entire family will benefit. In addition to the university costs incurred Alejandra’s mother is supporting her family by selling wraps/pareos on the beach to tourist. ▪ Most Mexican university programs like the one that Alejandra is attending are strict 4 year programs. There is no stopping in the middle of it. If a student drops then later wants to complete the program they must start from the beginning. This is very different from the USA college system where many students take much longer than 4 years to complete their studies to receive a degree. ▪ In order for Alejandra to be able to apply for work as a teacher after she graduates in June she needs to obtain a “Titilo” (license). The license is $9,000 pesos, Depending on the exchange rate that is around $750 – $765 US. Every graduate who wants to get licensed to practice what they studied will need to pay for this. ▪ It came as a surprise to Team Alejandra a month or so ago to find out that she did not have her own computer. Had we known that earlier we would have made it possible for her to receive one. Not having her own computer had to make it difficult or at least inconvenient for Alejandra to complete the work her studies required. The Isla Mujeres Scholarship Group is a great program for those of us who are “Islaholics” to pay to it forward to the people and island that we love. Alejandra and her son Angel. 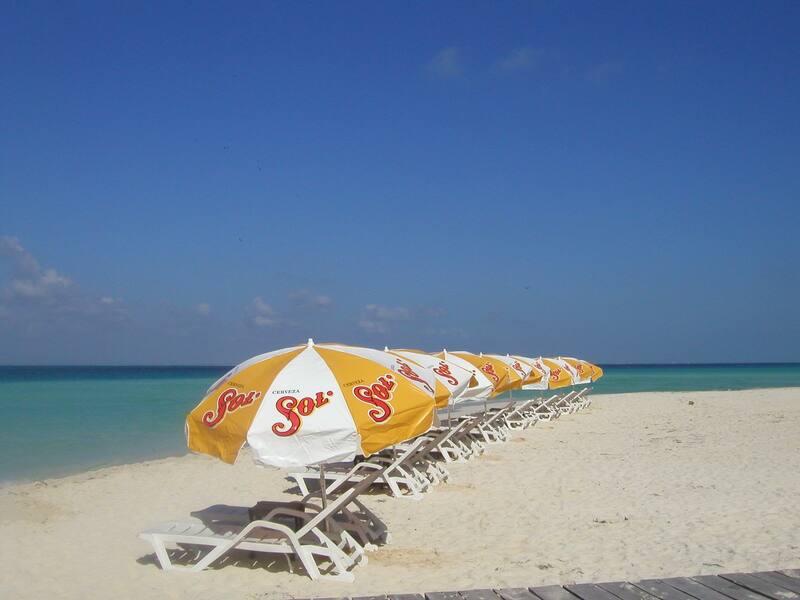 Photo taken in January at the Mango Cafe on Isla Mujeres.